Can you really be famous for explaining someone else’s ideas? Speaking as a historian of philosophy I can tell you the answer is: not really. But one man who just about managed it was Ibn Rushd, often known by the Latinized version of his name, Averroes. He lived in twelfth century Spain, at a time when most of the Iberian penninsula was still within the Islamic world. Though he could read no Greek, he became the most renowned medieval exegete of the philosopher who was most revered by medieval readers, Aristotle. His impact was especially great among Jewish readers, who could read him in Hebrew translation – the Jewish scholar Gersonides even wrote a series of commentaries on Averroes’ commentaries – and among the Latin scholastics. They typically referred to him simply as “the Commentator,” as they referred to Aristotle as “the Philosopher,” and would have his exetegical treatises close at hand when they read Aristotle. The most notorious result was a dispute over two doctrines defended by Averroes: that the universe is eternal, and that all humans share a single intellect. But his influence was much more far-reaching. 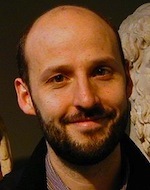 For example Latin medieval discussions of topics in natural philosophy like the nature of space and time were typically framed as responses to Averroes’ reading of Aristotle, rather than Aristotle himself. It may seem a dubious claim to fame. Nowadays we respect the original, innovative thinker more than the careful interpreter. That is rather an anomaly, though. In other times and cultures commentators have been highly esteemed. Consider the case of ancient Indian philosophy, where thinkers looked not only to the terse and compressed texts called sutras, but also commentatorial works called bhasyas, as definitive of their school doctrines. In traditions oriented around authoritative foundational texts, it was considered a great achievement to be an insightful and reliable guide to those texts. At the same time, it was understood that commenting is itself a creative activity, which might involve giving improved arguments for a school’s positions, or subtle, previously overlooked readings of the text being commented upon. Averroes too would have thought along these lines, and might have been happy to be perceived primarily as a commentator. Yet he was much more than that. This is something we’ve tried to bring out in a collection of studies devoted to his thought, entitled Interpreting Averroes: Critical Essays. 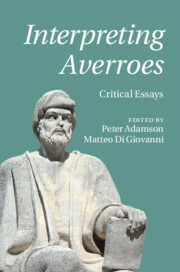 Without wishing to diminish his important reception among other medieval thinkers, we as editors wanted to situate Averroes more squarely within his own time and place. That means treating him first and foremost as a thinker of twelfth century Muslim Spain, one who thought deeply about the nature of the Quranic revelation and its meaning for philosophers. His works are animated by rivalry with Islamic theologians, whom he considered to be failed rationalists: they attempted to buttress the Islamic faith without a sufficient grounding in true philosophical method. He was also a skilled jurisprudent, who developed a shrewd account of legal reasoning in Aristotelian terms. And he was an accomplished natural philosopher, something we see not only from his commentaries on works like Aristotle’s Physics, but also from his writings on medicine. His works were thus richer and wide-ranging than typically recognized by his Jewish and Christian heirs. They showed him great esteem, but we are in a position to be even more impressed.